On May 21st, Rudy Giecek of the Cascade Hiker Podcast will be interviewing authors of the "Hiking the Pacific Crest Trail" series in Marysville, WA. Check out the books- http://www.pctguides.com. Tami Asars, Eli Boschetto, Shawnté Salabert and Philip Kramer are authors in this four books series and they will be feature this evening. Stick around after the taping to purchase books, have them signed by the authors, and pick their brains about hiking the PCT. Books will be sold at the event for $20 with cash only... Thats cheaper than Amazon!!! Proceeds from this event will be donated to the Pacific Crest Trail Association. Buying a ticket will enter you in for a gear raffle that will be held after the podcast. 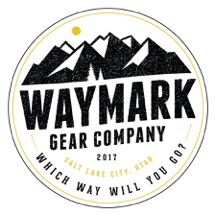 Items will be: Waymark Gear Company Backpack, Cascade Hiker Hats and hats from Crown Trails Headwear. Times: Doors will open at 6:00PM and the podcast will start at about 7PM. Feel free to purchase books before or after. Beer will be served and you are welcome to bring outside food, though YOU ARE NOT GUARANTEED A TABLE.